Dr Shifrin was extremely thorough and took extra time to explain things to me and even draw diagrams for my fullcomprehension. I had the most pleasant experience! Dr Shifrin was extremely thorough and took extra time to explain things to me and even draw diagrams for my full comprehension. I had the most pleasant experience! Dr. Shifrin was very professional while being compassionate and understanding. I am very happy wit My experience with Dr.Shrifin and his staff was pleasant uncomplicated and efficient. I am very pleased with my decision to change from my previous Dr.
Dr. Shifrin was very professional while being compassionate and understanding. I am very happy wit My experience with Dr. Shrifin and his staff was pleasant uncomplicated and efficient.I am very pleased with my decision to change from my previous Dr.
*Please note: FOR PATIENTS SEARCHING FOR AN APPOINTMENT, THE PRACTICE ONLY ACCEPTS MAJOR PPO PLANS, 1199 AND GHI. UPON MAKING AN APPOINTMENT THE PRACTICE WILL REACH OUT TO YOU TO CONFIRM YOUR INSURANCE AND APPOINTMENT. THIS WILL ALLOW US TO PROVIDE THE BEST POSSIBLE PATIENT EXPERIENCE! * *If cancelling or rescheduling an appointment, please call the office directly. Tired of impersonal care and not getting resolution to your health concerns? Try us. 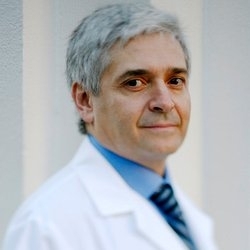 Discover why patients rave about Dr. Alexander Shifrin, who believes in cultivating a trusting, lasting relationship with his patients and their families and bringing his heart and mind into every aspect of medical care. My first time visiting Dr. Shifrin and I was very impressed. He was kind, knowledgeable, and didn't seem to be in a rush. I felt comfortable during the exam, and he took time to explain what he was doing and nextsteps. Would recommend, and will continue to see him. Amazing doctor, very knowledgeable, easy to talk to. Very arrogant and dismissive doctor. Everyone in the office was friendly and made me feel comfortable, a must in a field such as this. I would definitely come again and recommend to others. Professional but friendly; overall: a great doctor and the office staff. Thank you. This was my first appointment with Dr. Shifrin and he was very professional, caring and a great listener. I felt very comfortable and I believe I have found a gyno that I will continue seeing for many years. Professional and very clean, beautiful office! Dr. Shifrin is so wonderful! This was my first visit with Dr. Shifrin. He made me feel very comfortable and was very thorough. As women, it's hard for us to find a GYN Dr that we like. I'm happy that I am pleased with him anddo not need to look any further. Staff was wonder as well. The best doctor I even knew! Very impressed! I would definitely recommend this doctor!